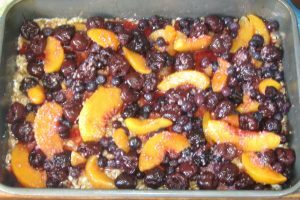 This recipe is one of the reasons I stock up on fruits during the summer months; and when on sale during the winter. After all, it is best made with frozen fruits. I just love this recipe, it’s immensely easy to prepare, is bursting with healthy ingredients and it’s a perfect snack or meal when you and your family need some healthful to help replace all the sugary or fat laden snacks, especially with Holiday Season rapidly approaching. I often make this for dinner or breakfast more often than I’d like admit too. 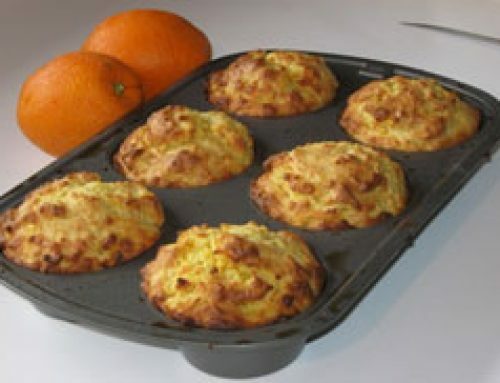 But then again, how can you go wrong with such a scrumptiously delicious healthful recipe. CLUE: You Cannot! Thaw the frozen fruits, then poor their juices into a measuring cup. You will need 1 cup of juice. Add the tapioca to the juice, mix it in and then cover it with a paper towel or cloth for 10 minutes. Using a fork, mix the flour, oats, brown sugar, baking soda, baking powder and cinnamon together in a bowl. Add the melted butter or to the bowl and mix all ingredients together. Spray a 9×13” with pan spray. Spread and tap the oat mixture into the pan, thoroughly covering the pan’s bottom with these ingredients. Pour or dot all of the fruit evenly across the oat mixture. I commonly add the peaches last. Pour the Tapioca juice evenly onto the fruits. Enjoy as is or warm with a dollop of Ice Cream or in a bowl of Warm Milk.